The California drought has hit record levels, with 58 percent of the state experiencing "exceptional" drought, according to the U.S. Drought Monitor. It marks the first time that more than half the state has been under the warning since the federal government began issuing drought warnings in the 1990s, Joseph Serna reports for the Los Angeles Times. About 22 percent of the state was added to "exceptional" during the past week. 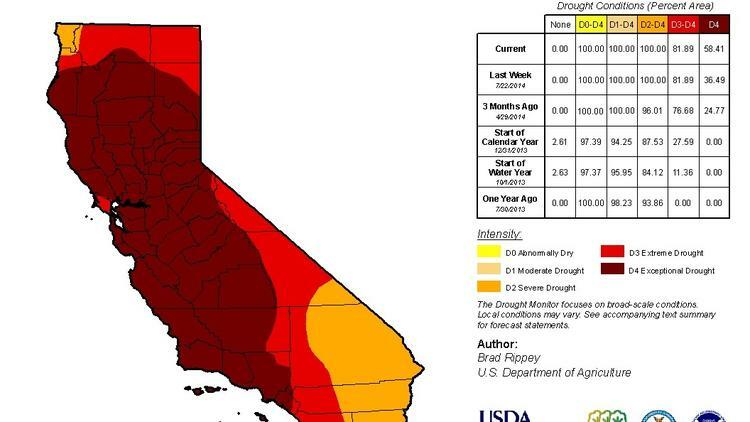 "This is the first year that any part of California has seen that level of drought, let alone more than half of it, said Mark Svoboda, a climatologist with the National Drought Mitigation Center, which issued the report," Serna wrires. Svoboda told him, “You keep beating the record, which are still all from this year." The new inspection system, which goes into effect immediately, "shifts much of the onus for visually inspecting and sorting carcasses and bird parts from the government to plant employees," the Journal writes. "The rules would reduce the number of USDA employees on evisceration lines — where workers or machines remove the internal organs of chickens and turkeys — to one from what is currently as many as four." 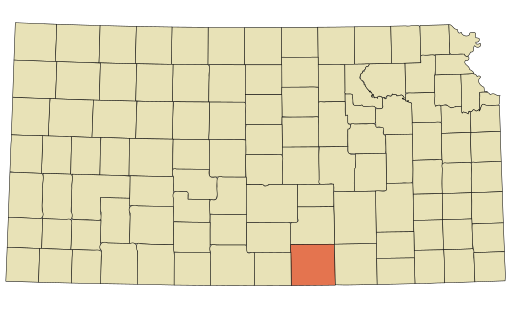 In rural Kansas, where some residents live long distances from hospitals, emergency medical services are staffed by volunteers. But just as rural fire departments are having trouble attracting and keeping volunteers, some EMS units in Sumner County (Wikipedia map), towns are struggling to find volunteers willing and able to take shifts, leaving a gaping hole in an essential service, James Jordan reports for The Wellington Daily News. One community struggling to staff ambulances is Conway Springs, which has an EMS territory of 247 square miles, Jordan writes. With two full-time paramedics and a handful of volunteers, they have had trouble meeting the state law that requires ambulances to be on the road within five minutes of a call. Parademic Dawn Cornejo told Jordan, “We are in danger of losing our EMS license due to a lack of volunteers and staffing." South Dakota is trying to find ways to recruit doctors to rural areas with programs aimed at sparking interest among students in middle school, high school and college into pursuing physician jobs in the state's medically under-served areas. The parents of Andrew, Appachey and Harley "are veterans of a rural war of attrition, from Andrew’s heavily medicated mother to Appachey’s, a mountain of a woman who delivers a heartbreakingly tough soliloquy," Rapold writes. "They are at the cusp of adolescence, starting to push back at low-rent surroundings, but still childlike. Harley trudges around, keeping up a running quirky commentary about his temper or his beloved mom, who’s in prison for tragic reasons that emerge later. Andrew is mysteriously beatific, the son of a free spirit who covers Hank Williams songs and keeps moving the family around. Less clearly drawn, Appachey has an abiding rage but, in sixth grade, none of its dignity." 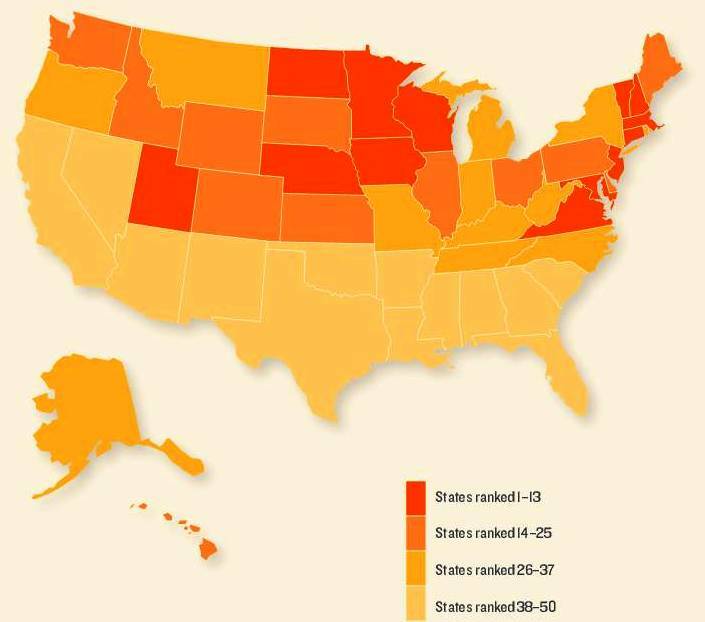 Earlier this month The Road Information Program, funded by lobbies interested in highways and their safety, released a report that said one-third of rural roads in some states are in poor condition. 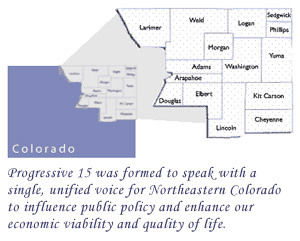 Colorado lobbyists have conducted their own survey on how residents think the state should spend money, and they say the results show "Rural residents would support a tax increase to fund road maintenance and safety measures in rural Colorado," Sara Waite reports for the Sterling Journal-Advocate in Logan County. In this case, any publicity isn't good publicity, because stories about the spill seem to have scared off some tourists, which "illustrates an ongoing battle over economic diversification in West Virginia, where the tourism industry at times collides with a powerful mining industry that for decades has provided the majority of the state’s identity and its good-paying jobs," Frankel writes. Dave Arnold, who owns a rafting company, told Frankel, “It’s a hair slow. I’m positive some of it is linked to the spill. My whole life has been about selling West Virginia. Never before have we seen an event that caused so many negative reactions." 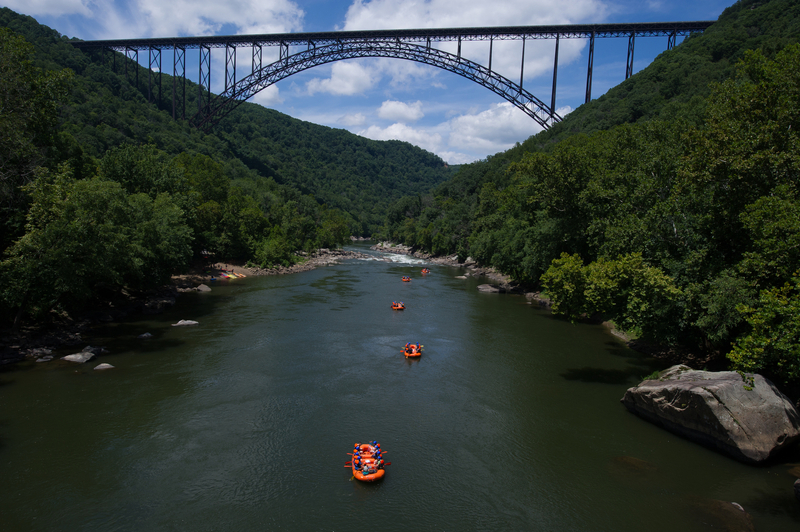 Tourists don't seem to care that the New and Gauley rivers sit well upstream of the spill, Frankel writes. 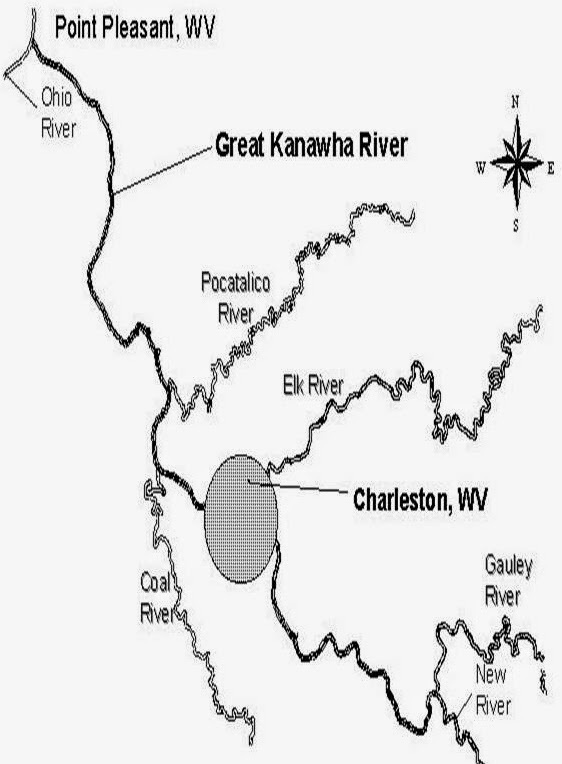 They form the Kanawha, into which the Elk flows at Charleston. Editor's note: Frankel knows how water flows; he reported on rural topics for the St. Louis Post-Dispatch for many years. Congratulations on the new job, Todd. Plenty has been written about shortages of doctors and lawyers, but a small Maine town on the Canadian border has a shortage of plumbers. When the only plumber in Jackman retired, the closest was 50 miles away. The solution: "A Jackman family and the local school district are working together to offer a scholarship for a local person interested in becoming a plumber, with the stipulation that they set up shop in the town of about 700 people," Rachel Ohm reports for the Kennebec Journal. 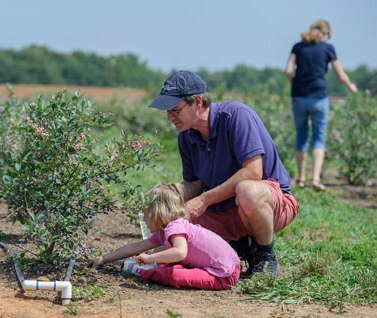 The White House announced a partnership Tuesday with several major companies "to better use data to make agriculture and the country's food system more resilient in responding to the growing impact of climate change," Christopher Doering reports for The Des Moines Register. "The initiative, part of the Obama administration's push to increase public backing for its climate-change agenda, would connect farmers, food distributors and agricultural businesses with data, tools, and information to understand how climate change is impacting their operations while identifying steps they can take to prepare for it." The companies involved are Monsanto, Wal-Mart, Microsoft, PepsiCo, IBM and Amazon. Monsanto says "it will donate a maize breeding trial dataset to help public- and private-sector scientists better understand how climate and water-availability changes will impact crop productivity and food security" and PepsiCo is pledging "to install solar panels at a Gatorade plant in Arizona that would prevent the release of about 50,000 tons of carbon and other greenhouse gases over 25 years," Doering writes. The Obama administration will also host a series of workshops on data, food resilience, climate change and food emergencies. "Development there looks notably different from urbanized parts of the Northeast," Badger writes. 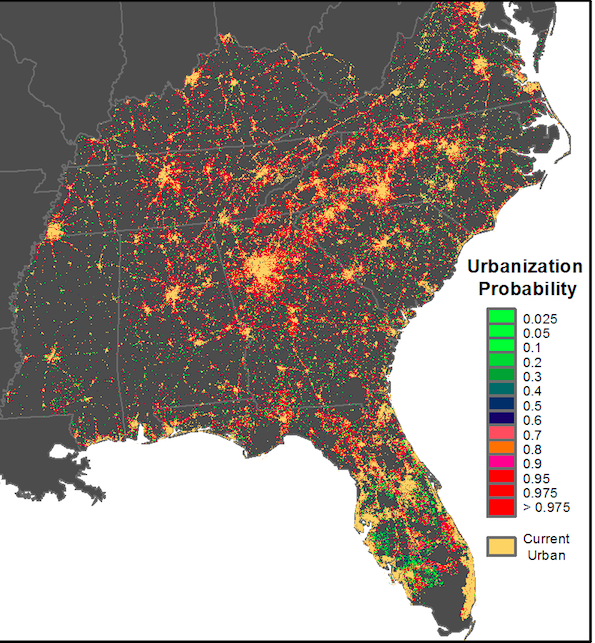 "Southern cities and their suburbs tend to be lower-density and car-dependent, with more large-lot, single-family homes. Communities often leap-frog across the countryside, creating a kind of patchwork development that consumes a lot of land." Climate change could have a significant impact on corn and wheat yields, Brian Sullivan reports for Bloomberg News: "Rising temperatures caused by climate change increase the odds that corn and wheat yields will slow even as global demand for the crops for food and fuel increases in the next 10 to 20 years, according to a study published in Environmental Research Letters." "There is as much as a 10 percent chance the rate of corn yields will slow and a 5 percent probability for wheat because of human-caused climate change, said David Lobell, the associate director of the Center on Food Security and the Environment at Stanford University, and Claudia Tebaldi, a scientist at the National Center for Atmospheric Research in Boulder, Colorado," Sullivan writes. Researchers found that "a rise in global temperatures of 1 degree Celsius (1.8 degrees Fahrenheit) would slow the rate of growth for corn by 7 percent and wheat by about 6 percent," Sullivan reports. "Corn is most vulnerable because the areas in which it is grown tend to be concentrated and therefore more susceptible to change." 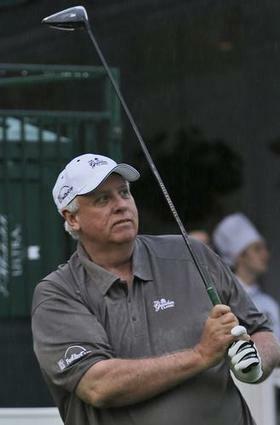 Alleged violations in Kentucky against Jim Justice, owner of The Greenbrier resort in West Virginia, "include failing to submit water monitoring reports, failing to live up to promises after previous enforcement actions, failing to pay fines and failing to meet requirements for reclaiming mined land, including eliminating highwalls," Loftus and Bruggers write. "Civil penalties owed by Justice companies in Kentucky increased to $2 million from $1.6 million between April and June." 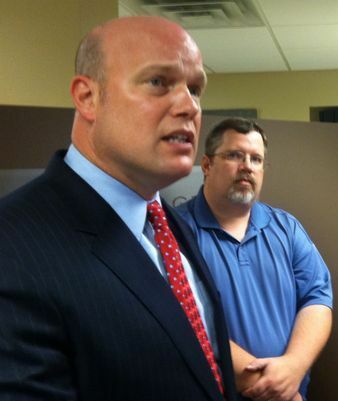 Natural Resources Commissioner Steve Hohmann informed Justice that five of his companies in Eastern Kentucky would be stopped form mining, effective June 30, but the suspensions were suspended until Aug. 11, with no reason given publicly for the decision, Loftus and Bruggers write. Justice and his family gave $50,000 to the Kentucky Democratic Party in April 2011, then $121,600 to the Democratic National Committee later that year "at a time when the DNC was transferring large amounts to the Kentucky Democratic Party during Beshear's 2011 re-election campaign," Loftus and Bruggers write. They also "gave $100,000 to the committee that paid for Beshear's 2011 inauguration festivities. And since then, the Justices have given at least $140,000 to the Kentucky Democratic Party — the most recent $40,000 contributed on June 27 — the day after Hohmann's letter suspending Justice mining permits, according to a report filed with the Federal Election Commission." "Experts say that closing these schools can be counter-productive not just for the students but for the entire population," Aronowitz writes. "Not only does the town fail to attract young families, who would rather live near a school, it often loses one of its main hubs of activity and community interaction." Brian Depew, executive director of the Center for Rural Affairs told Aronowitz, “You’re yanking a key community structure out of these towns. 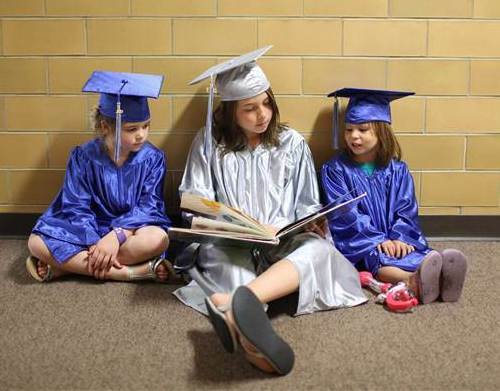 They’re places of education, but they also serve this larger civic function." While budget concerns are one reason leading to closures and consolidation, another is the idea that bigger is better, Aronowitz writes. Depew told her, “Our go-to answer as a society is consolidation. Because it’s happened so many times, leaders just think, ‘That’s just what we have to do’ . . . it’s a capitalist drive for efficiency.” He said eventually "a string of consolidations lead to a self-fulfilling prophecy: a school closes, a town’s population declines and the cycle starts all over again." "The battle for America's poorest consumers intensified Monday with Dollar Tree's agreement to buy rival Family Dollar Stores for about $8.5 billion," Paul Ziobro and Shelly Banjo report for The Wall Street Journal. "The chains thrived during the recession as the number of working Americans living in poverty increased by nearly 40 percent, according to the U.S. Bureau of Labor Statistics." 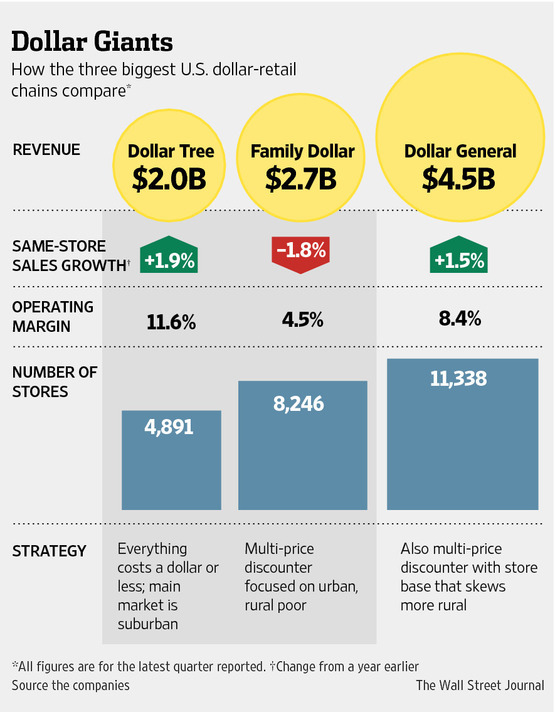 The two chains operate more than 13,000 stores nationwide. The trip to Missouri didn't go as planned, with the farm federation responding "by sending Congress a document 'decoding' point-by-point an EPA blog post that attempted to explain the rule," Jerry Hagstrom reports for National Journal. "The Republican senators she met with issued a series of news releases saying they appreciated her visit but EPA should still withdraw the rule." "In the meantime, McCarthy could work a bit on her own communication skills in rural America," Hagstrom writes. 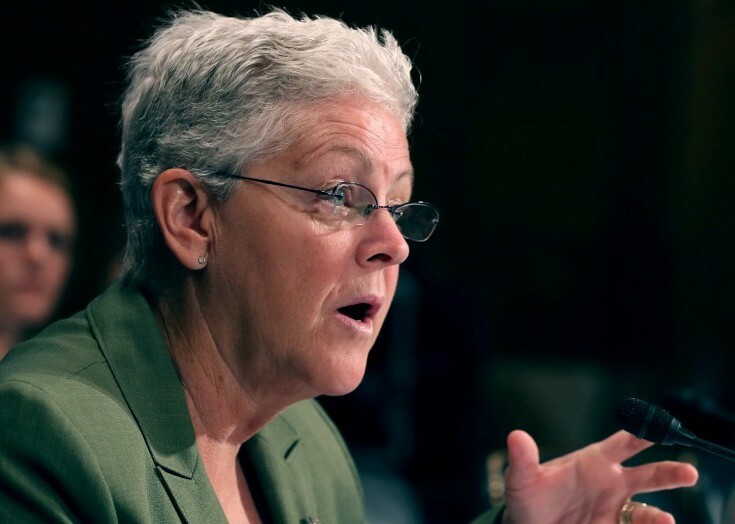 "EPA administrators tend not to come from the heartland, and McCarthy is no exception. A Boston native, McCarthy speaks with a strong New England accent, and she seems not to suffer fools gladly." And she isn't winning over any rural farmers by calling their concerns about the rules "silly" and "ludicrous," words she said were taken out of context. "McCarthy does have her rural defenders," Hagstrom writes. "The Theodore Roosevelt Conservation Partnership, which includes a wide range of hunting and fishing groups, has said Congress should not interfere with the comment process and that fish, wildlife and people all need clean water. The rule can be written so that 'farmers and ranchers can farm the way they have and we can protect the waters,' McCarthy said." Although the effort to connect rural America to broadband is progressing, “it will take a sustained focus from Congress and the executive branch to ensure that rural residents have the same access to broadband as their urban and suburban counterparts," the head of the U.S. Department of Agriculture's Rural Utilities Service told a House Agriculture subcommittee Tuesday, reports Agri-Pulse, a Washington newsletter. Padalino said 14. 5 million people in 6.5 million rural households lacked access to broadband in 2012, reports Farm Futures. Padalino, who pointed to a study that linked increased broadband access to higher median household income, said it would cost an estimated $13.4 billion to complete access projects. The Environmental Protection Agency has failed to adequately oversee hundreds of thousands of injection wells used in oil and gas drilling, says a report by the U.S. Government Accountability Office. The report criticizes EPA's "inconsistent handling of safety inspections, poor record keeping and failure to adjust its guidelines to adapt to new risks brought by the recent boom in domestic drilling, including the understanding that injection wells are causing earthquakes," Naveena Sadasivam reports for Pro Publica. EPA, which oversees more than 700,000 injection wells in the U.S., delegates oversight of the wells to state agencies, Sadasivam writes. The problem with that, the report found, "is that the EPA has not consistently inspected those state programs to ensure that state regulators comply with the Safe Drinking Water Act and EPA guidelines. The EPA also has failed to incorporate requirements it has placed on some of its state programs into federal regulations, making it difficult for the agency to take legal action against violators." State officials in Virginia maintain "that the shift reflects a public-private partnership that trims billions from the cost of the highway," Szkotak writes. But critics say the new route takes the road to untapped coal reserves. 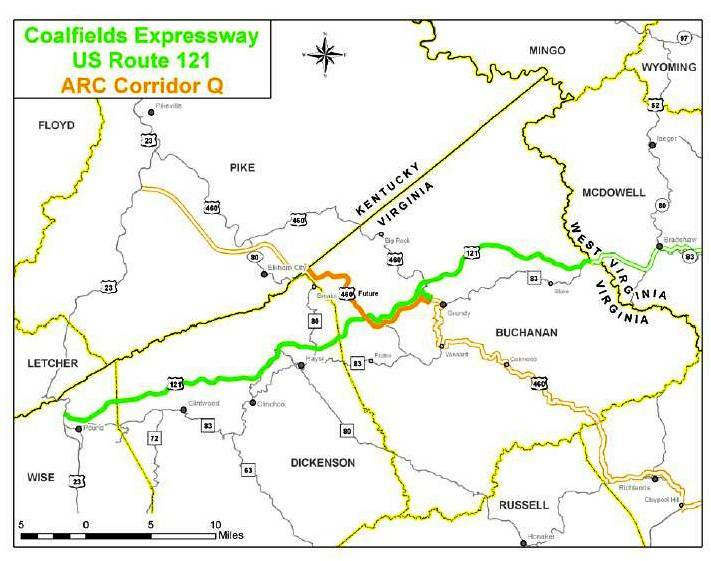 Deborah Murray of the Southern Environmental Law Center said of the rerouted section, "We hope that once the alternatives are fully considered, as well as the original purpose of the road project itself, a different choice will be made." "This year, a sprawling network of new high-voltage power lines was completed, tying the panhandle area and West Texas to the millions of customers around Dallas-Fort Worth, Austin and Houston," Wald writes. "By any standard, the scale is enormous. Anywhere else, a big transmission project is a few hundred miles long and costs a few hundred million dollars; this is a network of 3,600 miles built at a cost of $7 billion, which is more money than the whole country has spent on transmission in some recent years. It comes to about $300 per person served by the Texas grid." "Nationally, transmission infrastructure is built only when circumstances demand it; in Texas, however, lawmakers have ordered an 'if-you-build-it, they-will-come' approach," Wald writes. "And it is working." "The new lines are meant to handle up to 18,000 megawatts — millions of households," Wald writes. "While there are still problems — the wind generally does not blow strongly on the hottest days, when its power generation is needed most, for example — scientists say that the supply will become somewhat more stable as more transmission lines, and more wind farms, are built in diverse locations." 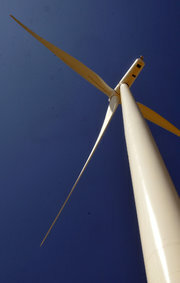 But the project has its share of critics, especially since the $7 billion is being charged to taxpayers, Wald writes. But that only amounts to an extra $6 per month in utilities, and supporters say the move has cut monthly costs by more than that much. 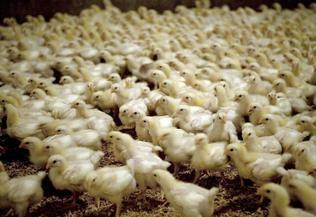 The Food and Drug Administration has been asking companies to phase out antibiotics to promote growth in farm animals. But the agency doesn't have to do that, according to a federal appeals court, which determined by a 2 to 1 vote last week that the FDA is not required to ban antibiotics in healthy animals, Lindsay Abrams reports for Salon. "In 2012, two district courts decided that the agency could — and must — do more, ruling that the FDA was required to hold a hearing if it determined that the non-medical use of a certain drug was unsafe," Abrams writes. "At the hearing, drug manufacturers would then be required to prove otherwise. In Thursday’s 2-1 decision, the U.S. 2nd Circuit Court of Appeals overturned that decision, placing the power to decide whether to hold hearings back in the hands of the FDA." Meanwhile, the federal Centers for Disease Control has issued a warning "that the government needs to take immediate action before we live in a world where life-saving antibiotics are no longer effective," Ferdous Al-Faruque reports for The Hill. CDC Director Thomas Frieden said last week, "The health-care system needs to improve how it detects patients with drug-resistant infections, controls the spread of such infections, prevents them from happening in the first place and incentivizes drugmakers to develop new antibiotics." 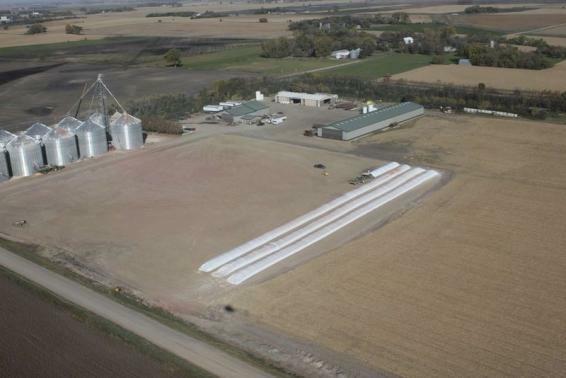 "With many bins still overflowing with last year's crop in the world's top grain grower, farmers are snapping up these systems as a practical necessity ahead of bumper harvests, and as a safeguard against another winter of railroad delays," Plume writes. "They may also be a sign that farmers will not be rushed into dumping their harvests quickly. Prices for corn to be harvested in autumn have tumbled as much as 18 percent so far this year, leaving growers hoping for a rebound." "The systems also represent the latest front in an ongoing power struggle in the rural heartland between farmers, who want more say in how and when their crops are sold, and merchants such as Archer Daniels Midland and Bunge Ltd., who control the main arteries of trade," Plume writes. 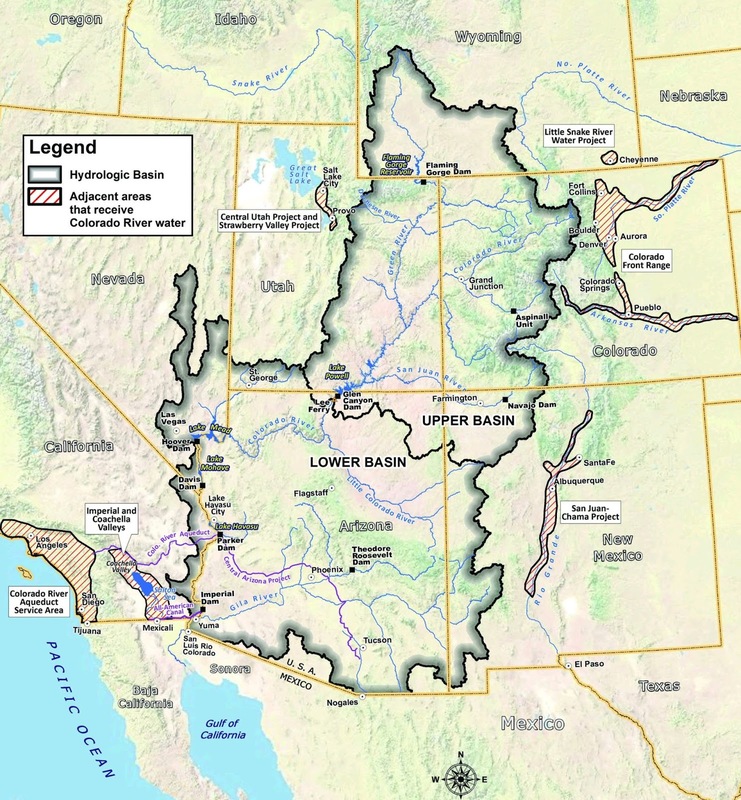 The Colorado River Basin — which feeds water to 40 million people in parts of Wyoming, Colorado, Utah, New Mexico, Nevada, Arizona and California — is drying up faster than previously thought, according to a study by researchers at the University of California Irvine. "In the past nine years, the basin has lost about 65 cubic kilometers of fresh water, nearly double the volume of the country’s largest reservoir, Lake Mead," Reid Wilson reports for The Washington Post. "About two-thirds of the water lost over the past nine years came from underground water supplies, rather than surface water." States are responsible for regulating groundwater, but some states like California have no groundwater management rules. Candidates for federal office in Appalachian states such as Kentucky and West Virginia are pushing the fight against President Obama's "War on Coal" while promising to defend the industry. 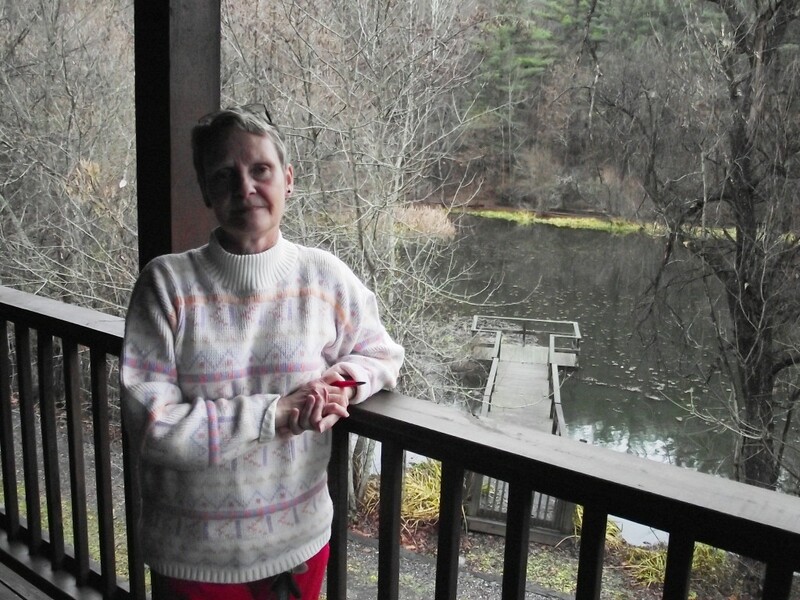 But no one is touching climate change and recent studies that prove the negative health effects of mountaintop removal, Ken Ward reports for The Charleston Gazette. He cites West Virginia Secretary of State Natalie Tennant, the Democrat running to succeed retiring Democratic Sen. Jay Rockefeller. Tennant has bought about $120,000 of television time for an ad in which she turns the lights off on the White House after asking, "Where do they think their electricity comes from? You and I know it’s our hard-working West Virginia coal miners that power America. I’ve fought to protect our coal jobs right alongside [Democratic Senator] Joe Manchin, and I’ll stand up to leaders of both parties who threaten our way of life. I’ll make sure President Obama gets the message." Ward writes, "She doesn’t seem to want to talk about whether that “way of life” needs to include birth defects, heart disease, cancer and premature deaths. . . . This kind of complete nonsense is exactly why West Virginians are so very far from being able to discuss coal and climate change issues with even the smallest bit of intelligence, reason, and forward thinking. It’s a shame that Natalie Tennant won’t show more leadership than this. She’s got a great opportunity to really move the conversation forward about the future of our coalfield communities, the urgency to act on climate change, and the desperate need to diversify our economy. Instead, we get an ad that comes straight out of the 'Friends of Coal' playbook." "But rather than focus her campaign on this painful fact, and on whatever ideas she has for dealing with the ongoing bottoming-out of Southern West Virginia’s coal industry and diversifying the economy, Natalie Tennant is perpetuating the myth that if only West Virginia leaders could undo the Obama administration’s somewhat mild approach to dealing with climate change, things in places like McDowell County will be booming again," Ward writes. "It’s a shame that the West Virginia Democrats haven’t come up with a better campaign message than this in their effort to keep the Senate seat that Sen. Jay Rockefeller has held for so long." The report has a wealth of information about child well-being, with the four main areas broken up into four sub-sets, which look at the rate of children in poverty; children whose parents lack secure employment; children living in households with a high housing cost burden; teens not in school and not working; children not attending pre-school; fourth-graders not proficient in reading; eighth-graders not proficient in math; high school students not graduating on time; low-birthweight babies, children without health insurance; children and teen deaths per 100,000; teens who abuse alcohol or drugs; children in single-parent families; children in families where the household head lacks a high school diploma; children living in high-poverty areas; and teen births per 1,000. The report has excellent information for local stories and we recommend checking it out. To read the report click here. House and Senate negotiators have reached a tentative agreement to deal with the long-term needs of the struggling Department of Veterans Affairs and are expected to unveil their proposal this afternoon, Ed O'Keefe reports for The Washington Post. Aides said negotiators "have 'made significant progress' on legislation to overhaul the VA and provide funding to hire more doctors, nurses and other health-care professionals." There has been concern among veterans, especially those in rural areas, that they have had to travel long distances to receive care, or often wait months for an appointment, if they get one at all. "According to a draft summary of the measure provided by House aides, Congress would give eligible military veterans a 'Veterans Choice Card' and allow them to seek health care outside the VA medical system from Medicare-eligible providers, other federally qualified health centers or facilities operated by the Defense Department or federal Indian Health Service centers," O'Keefe writes. "Veterans eligible to seek care outside the system would need to be enrolled by Aug. 1, or enroll for VA care within five years of ending their military service in Afghanistan and Iraq, according to the draft agreement. A veteran could leave the VA system if they’re unable to receive an appointment within 14 days — the current VA wait-time goal, or if they live more than 40 miles from a VA facility." In response to complaints of long wait times to get an appointment, "new legislation would not allow scheduling and wait-time metrics to be used as factors in determining a worker’s performance," O'Keefe writes. "Instead, most performance reviews would focus on the quality of care received by veterans, according to the draft summary." The compromise would authorize $5 billion for more employees, "require VA to enter into 27 leases for new major medical facilities; expand a scholarship program for the surviving spouses of service members who died during conflicts since the Sept. 11, 2001, terrorist attacks; and allow VA to provide counseling care and other services to veterans who suffered sexual trauma while in the ranks. Additionally, VA would be required to conduct regular audits on the accuracy of care and staffing levels at each major medical facility," O'Keefe writes. A pesticide linked to honeybee deaths has been found in nine Midwestern rivers, Josephine Marcotty reports for the Star Tribune in Minneapolis. Neonicotinoids, blamed for wiping out 40 to 50 percent of honeybees, were found to be universally present during the growing season in every state and watershed that scientists from the U.S. Geological Survey studied. Honeybees pollinate about 90 crops worldwide. The USGS study "is the first to measure how widely the toxins have spread through surface waters," Marcotty writes. "The researchers took monthly measurements at eight sites from spring through fall in 2013. They looked at small watersheds such as the Little Sioux . . . and the huge watersheds of the Missouri and Mississippi rivers. At a ninth site, a tiny watershed in Iowa surrounded by agricultural fields, they took more frequent measurements to track how the pollutant levels changed during the season and with rain." "They found one or more of three different kinds of neonicotinoids in each of the 79 samples," Marcotty writes. 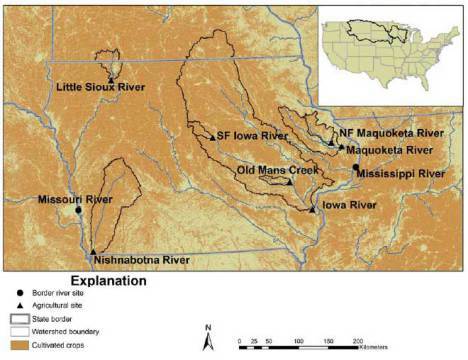 "The highest concentrations were found in smaller watersheds where farming was the dominant use of the landscape; lower concentrations were found in the big rivers that drained areas with more diverse uses." Woodard told Hare, "I eventually found myself in the early 1960s in a Maine that I did not recognize and one that was shocking and frankly horrifying.” Hare writes that Woodard "discovered the brutal murder of an Indian man; a young, progressive attorney from out of town; a tribal chief who wanted justice. The dominos started falling. They led back to the present. The story was an amazing one, Woodard said, 'and one that said so much about how we are.'" 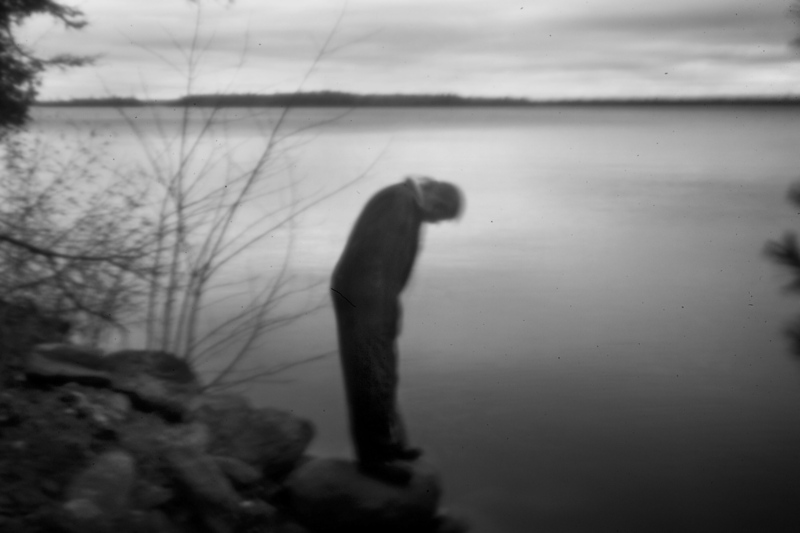 To help capture the essence of time, photographer Gabe Souza told Hare he "created a pinhole camera, the original form of camera obscura, using a drilled hole in a lens cap, covering it with a thin piece of aluminum, and then piercing the aluminum with the tip of a pin. The result are the soft focus, long exposure images you see. In some ways, it allowed me to photograph a feeling, rather than a scene.” To see the photos and read the series, click here. Quint Pottinger, New Haven, Ky.: Pottinger owns a mixed row-crop and herb farm called Affinity Farms. The University of Kentucky graduate serves on the Kentucky Soybean Association board, serving in a leadership education capacity and has just started a year of service with the Corn Farmers Coalition. Pierre Sleiman, Encinitas, Calif.; Sleiman is the founder and CEO of Go Green Agriculture, which grows produce inside climate-controlled greenhouses using hydroponics, a method of growing plants without soil. He is a director of the San Diego County Farm Bureau and will graduate this year from the California Farm Bureau leadership program. The Federal Communications Commission last week "approved the $985 million deal between Sinclair Broadcast Group and Allbritton Communications with divestitures and other conditions," Alina Selyukh reports for Reuters. "The FCC's Media Bureau said Sinclair will divest the TV station in Harrisburg, Pa., and give up the licenses of Allbritton stations in Birmingham, Ala., and Charleston, S.C., delivering programming there through so-called multi-casting on the signal of stations Sinclair already owns." Sinclair owns or manages 162 television stations in 78 markets, is affiliated with a wide range of networks, and reaches 38.9 percent of U.S. television households. Most of the markets are small or medium-sized. Sinclair has been buying up stations in recent years, having owned only 58 a little more than three years ago. UPDATE: Feb. 2, 2015: Bob Eschliman has started a new publication called The Iowa Statesman, which plans "to cover all levels of government and politics through a combination of on-staff mobile journalists and strategically placed writers who will provide crowdsourcing coverage," says the outlet's website. "We will make strategic partnerships along the way with other national media outlets that will expand our reach, and provide the rest of the nation with a better look at the first-in-the-nation caucus state." The outlet, which was seeking donations for funding, only received $4,656 of its $100,000 goal. Bob Eschliman was fired from the Newton Daily News after writing on his blog: "I’d like to talk a little bit about deceivers among us, most notably the LGBTQXYZ crowd and the Gaystapo effort to reword the Bible to make their sinful nature 'right with God'." Eschliman was referring to a book called the Queen James Bible, which "seeks to resolve interpretive ambiguity in the Bible as it pertains to homosexuality" by editing eight verses in a way that makes homophobic interpretations impossible, according to the site. Eschliman filed a complaint last week with the U.S. Equal Employment Opportunity Commission office in Milwaukee arguing that he was terminated because of his religious beliefs, Finney and Petroski write. "If the dispute isn't resolved to Eschliman's satisfaction, he could sue in federal court to seek financial damages." Eschliman said he "has had difficulty finding employment since his dismissal, 'particularly here in Iowa'," the Register reports. "He said his writing, which some considered objectionable, was posted on a personal blog that was read mainly by family members and friends." John Rung, president of Shaw Media, which owns the Daily News, disagreed, writing in May: "While he is entitled to his opinion, his public airing of it compromised the reputation of this newspaper and his ability to lead it." After being ranked as one of the least healthy counties in one of the least healthy states, and after five failed attempts at a farmers' market, Letcher County, Kentucky (Wikipedia map) has found success. Started last summer, the market has completed its pilot project and "is the first farmers market in Kentucky to be a USDA Summer Feeding Program site – simultaneously feeding Kentucky children, improving community health and providing new economic opportunities through Kentucky Agriculture," says a press release from Kentucky's Community Farm Alliance.